The full devastating effects of Hurricane Harvey are still being felt across Houston and the State of Texas with the Big Three U.S. airline’s playing a major role in relief efforts. Harvey made landfall on August 25th and forced the closure of Houston’s main airport, IAH for several days. But despite the challenges, American Airlines, United and Delta Air Lines (amongst others) managed to rescue stranded passengers and deliver much-needed emergency supplies. For its part, American Airlines airlifted 14,000 pounds of supplies from its hub at Dallas Fort Worth to IAH for its team members stuck in the city. The essentials included 135 cases of water, blankets and emergency generators. On top of that, food and toiletries, diapers, sleeping bags and even sandbags were sent on a specially charted Boeing 757 aircraft to the city. AA’s subsidiary, American Envoy sent an Embraer 175 aircraft to Corpus Christi with 2,000 pounds of supply. A second supply flight was sent to IAH at the end of August. American estimates that 550 of its employees are either living or based in Houston and other hurricane affected areas, including Beaumont and Corpus Christi. Around 28 AA flight attendants and 12 Mesa Airline employees who don’t live in Houston but had been stuck in the city at the height of the hurricane were also rescued on the return flight to DFW. The airline activated its emergency response plan, working alongside the American Red Cross to coordinate efforts to help those most in need. Over $825,000 have been raised by American customers in aid of the Red Cross disaster relief effort. As parts of its response, AA has also set up its ‘American Airlines Family Fund’ – employees have so far raised $128,000 to support their affected colleagues and American has contributed a further $256,000. Clearly, airline’s are feeling a great deal of responsibility in playing their part to help, although some are still concerned that airline employees will be adversely affected. 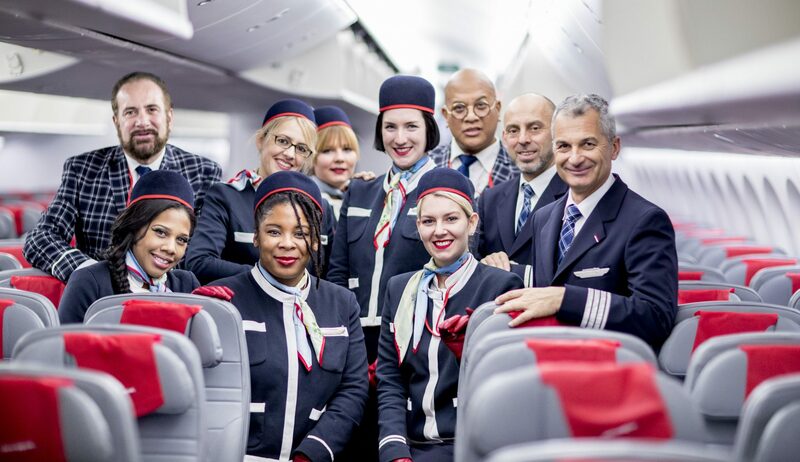 As the airline’s now try to get their operations back to some sort of normality, the Association of Professional Flight Attendants (APFA) is now working to ensure its members aren’t inadvertently punished by the airline. The union has come to an agreement with American to ensure some staff aren’t left out of pocket – specifically, they’re looking out for so called ‘commuters’. These are flight attendants who fly to different cities to operate flights. During Hurrican Harvey, a significant number of these commuters couldn’t get to the airport from which they should have been operating a flight. Commuters will be receiving compensation protection and attendance protection – ensuring they’re not disciplined for missing a flight or lose money from being stranded in Texas. American has also agreed to look at ways it can help flight attendants who faced ‘severe hardship’ as a result of the hurricane. Other flight attendants who live in different parts of Texas will have to meet their managers on a case by case basis to review their needs. In addition, APFA has set up its own ‘Flight Attendant Disaster Relief’ fund – this will provide financial assistance to flight attendant’s whose homes have been damaged or destroyed by the storms. APFA has been closely monitoring the situation and is not aware of any AA employees who were killed or injured during the hurricane and subsequent flooding.